So far 31 people, including four children, were confirmed dead in a household gas explosion in Russia on Monday, the country's emergency ministry said Wednesday. 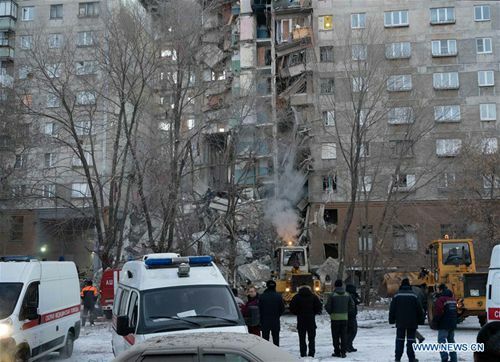 The body of the 31st person was recovered from under the debris of the partially collapsed 10-story residential building in Magnitogorsk City, the Chelyabinsk Region, the ministry said. Rescuers are searching around the clock for 10 people who are believed to be still buried in the rubble. Wednesday has been declared a day of mourning in Chelyabinsk for those killed in the explosion.